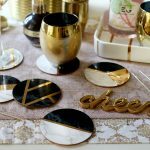 I know I said that my DIY Gold and Marble Coasters would be my last DIY of the year but I completely forgot that I still had this one to share! So it’s a little bonus one to finish off the year. 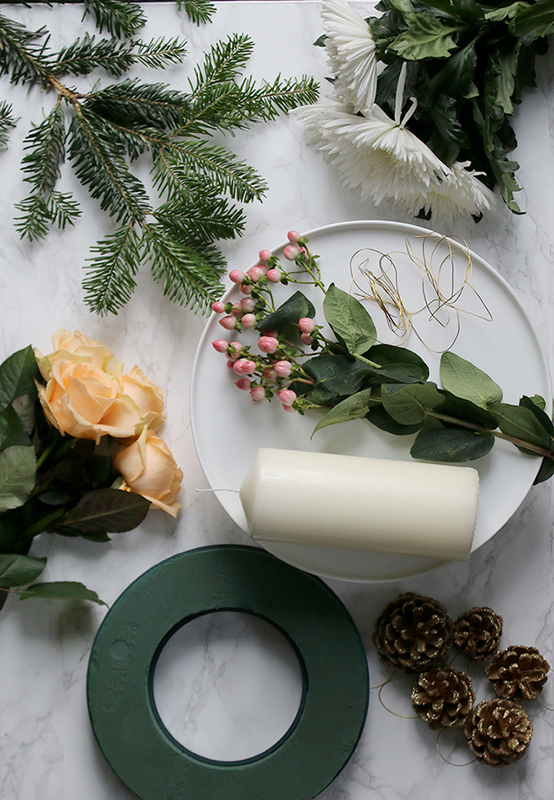 If you saw my Christmas table setting, you will have seen this gorgeous floral and pine Christmas centrepiece on my table. 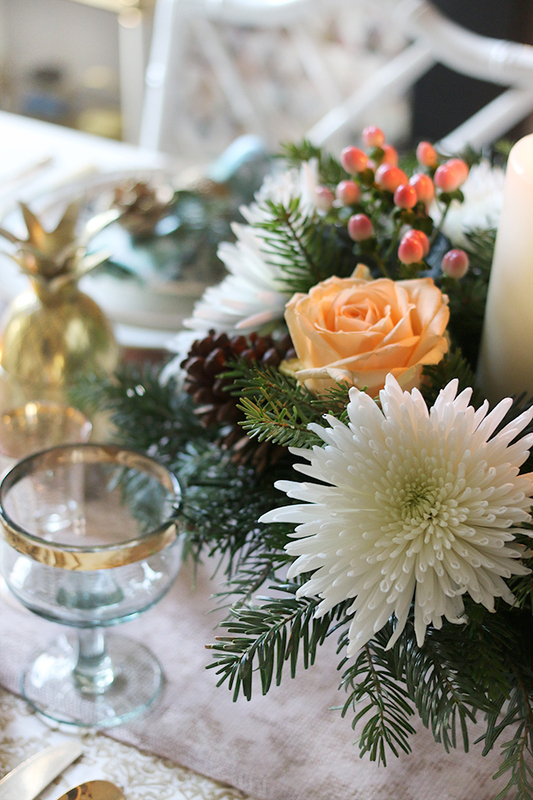 Now, if there is one thing that I could never claim, it’s being good with floral arrangments. It’s something I’ve struggled with for a long time but if even a novice like myself can manage this one, I’m sure you can too. Gathering the materials was relatively easy. I nipped to my local garden centre where they were selling Christmas trees and asked if I could get some off-cuts for a craft I was doing. The man was super nice (and acted like he’d heard it a million times before so I was clearly not the first person to ask) and directed me to a big pile of offcuts and told me to help myself (they were free!). I used about 3 large-ish branches of pine for this. I purchased the flowers at my local florist. 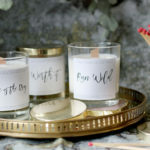 For the full set of instructions, please head on over to AO Life today where I share the full step by step of the process! 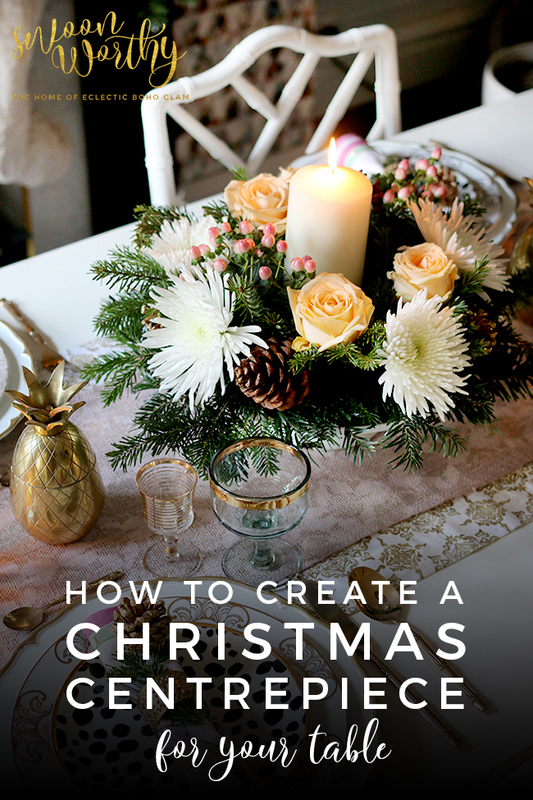 This is so easy to do and really just involves filling your wreath to about 75% with the pine stems and then filling in with your flowers and berries using a floral oasis. 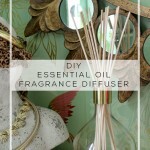 I have been so encouraged by how this came out, I’m looking forward to trying it again sometime, perhaps with flowers and greenery in Spring or even my own homemade wreath next Christmas. 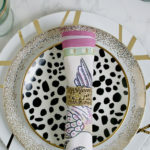 Check out my top tips on creating a glamorous Christmas table settings on a budget here! 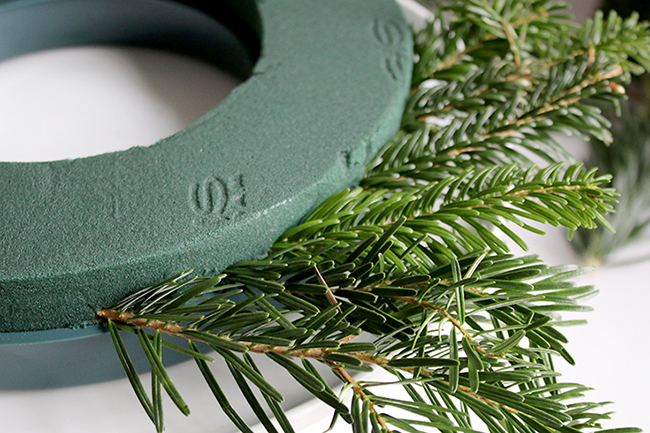 13 Last-Minute Christmas Decor and DIY Gift Ideas! Very lovely!!!! Have a GREAT day!! !